Our company is known for its high quality products, reliability and long export experience. 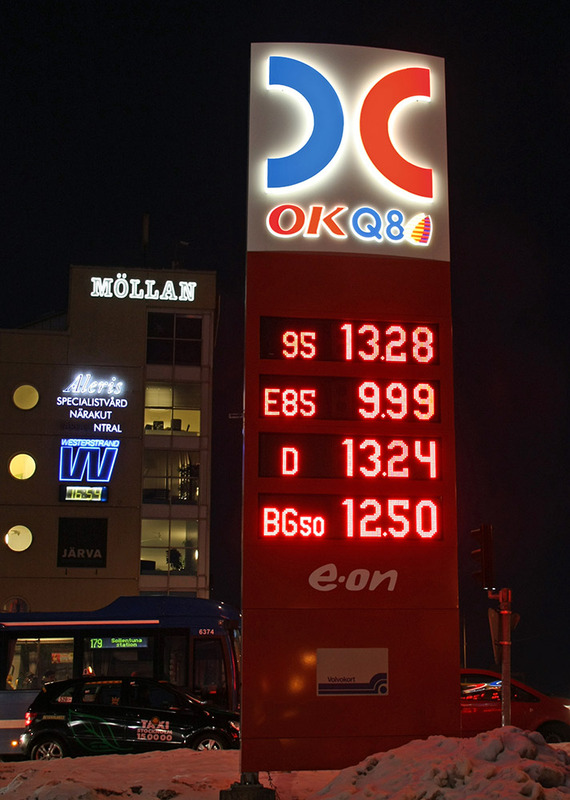 We have manufactured and installed signage solution to over 5000 gas stations across Europe. 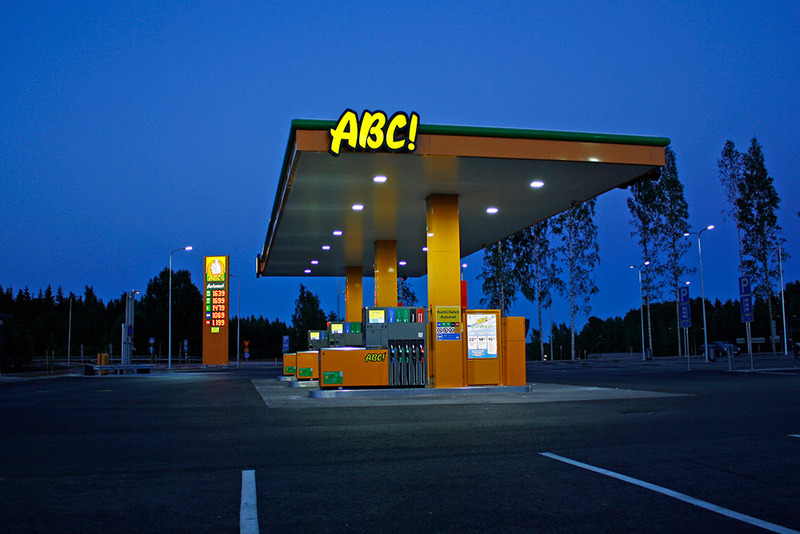 Illuminated sign projects for gas stations are among the most demanding in the signage business. Our products and components for gas stations have been built to stand extreme weather conditions. 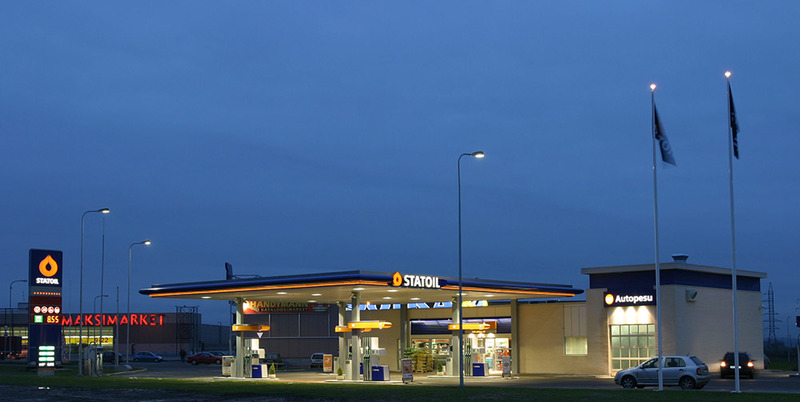 Since 1998 Tammerneon has constructed the exterior for over 5000 gas stations and installed over 13 000 LED displays across Europe. Our company is known for its high quality products, reliability and long export experience. 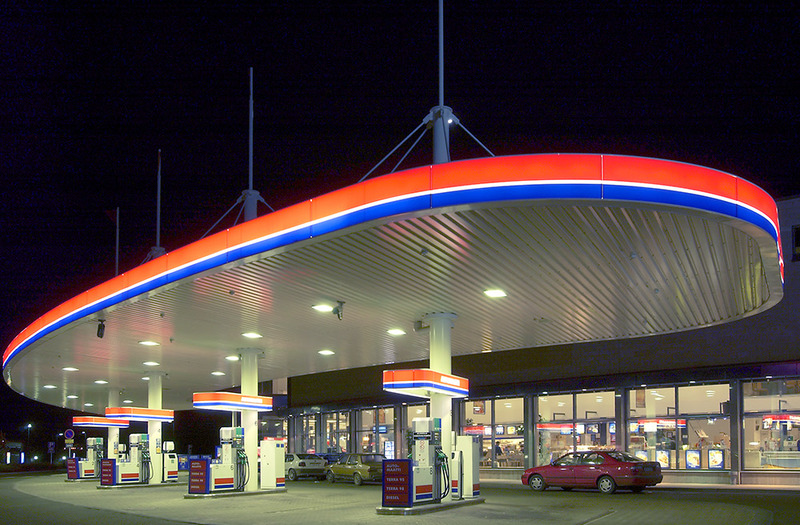 We supply the pylons, gas station canopy fascias, claddings, price displays and interior and exterior wayfinding signs. 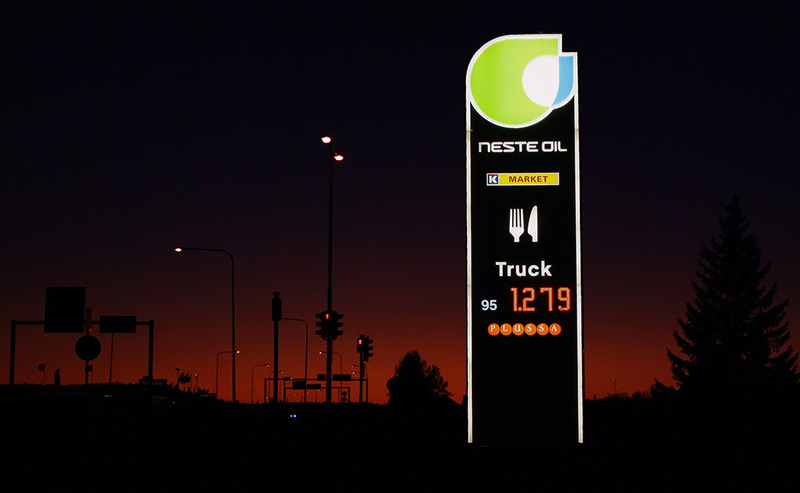 Our LED price display, which adjusts automatically to lighting conditions, ensures excellent visibility throughout the day and year.